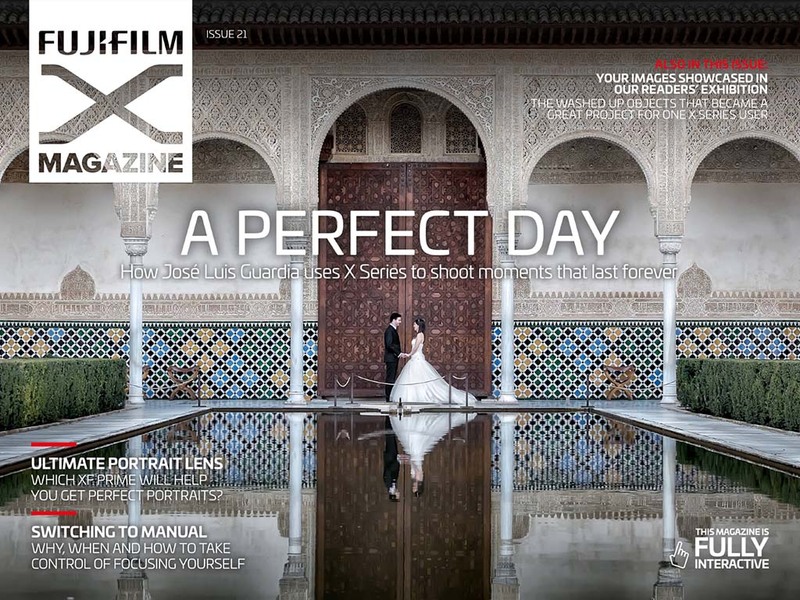 Fujifilm X Magazine Issue 21 is now available online here or via their iPhone or Android app for free. This issue includes a lot of photos and tips about how to better use a variety of Fujifilm cameras. The most detailed articles about how to be a better photographer include the Ultimate Portrait Lens, which leads to Create Family Favorite Portrates along with Switching to manual. There is also the opportunity to win a £1,250 Fujifilm shopping spree inside. This entry was posted in Fuji X-Pro1, Fuji X-Pro2, Fuji X-T1, Fuji X100, Fuji X100T and tagged Fuji Rumors, Fujifilm, Fujifilm Magazine, Fujifilm Rumors, FujifilmRumors, Fujinon XF 16-55mm f2.8R LM WR, Fujinon XF 50-140mm F2.8 R LM OIS WR, Fujinon XF 50mm F2 R WR, Fujinon XF 56mm F1.2 R, Fujinon XF 56mm F1.2 R ADP, FUJINON XF 90MM F2.0 R LM WR, Fujirumors. Bookmark the permalink. Trackbacks are closed, but you can post a comment.